Carrots are normally bright orange-red in color, and there are a number of different types and shapes. New varieties are have been introduced over recent years to remove the woody yellow cores from carrot roots and this explains the terms ‘red cored’ and ‘red cored improved’ attached to some varietal names. In colder areas, plant quick maturing carrots. All garden soils will yield reasonable crops although ideally, the soil should be of a lighter, sandy nature for the straightest, well-shaped roots. Twisted roots are due to improper thinning. Forked or deformed roots means the soil was too hard and stones or clay balls were present. Hairy roots mean it has a beard. Carrots “can” better than they freeze, and they are very useful as a vegetable to be served alone or to use in soups, stews and or vegetable dishes. Raw Pack: Pack raw prep carrots into a clean jar tightly, leaving a inch of headroom. Add salt if desired, 1 tsp per quart or 0.5 tsp per pint. Cover with boiling water, leaving 0.5 headroom. Process in a pressure canner at 10 lbs pressure (240 F). Pints – 25 min Quarts – 30 min Complete seals if necessary as soon as jars are removed from canner. Canning time can vary due to altitudes. Remove tops, wash and peel or scrub hard with a vegetable brush. Blanch whole carrots in boiling water for five minutes. Reduce the time to two minutes for diced, slices or strips. Cool immediately in ice-cold water. Drain the water and pack into freezer containers, leaving 1/2 inch headroom. Seal and freeze. Cut off the leaves a 1/2 in above the crown and store the carrots in layers of sand or dry peat in a strong box. Do not let the carrots touch. 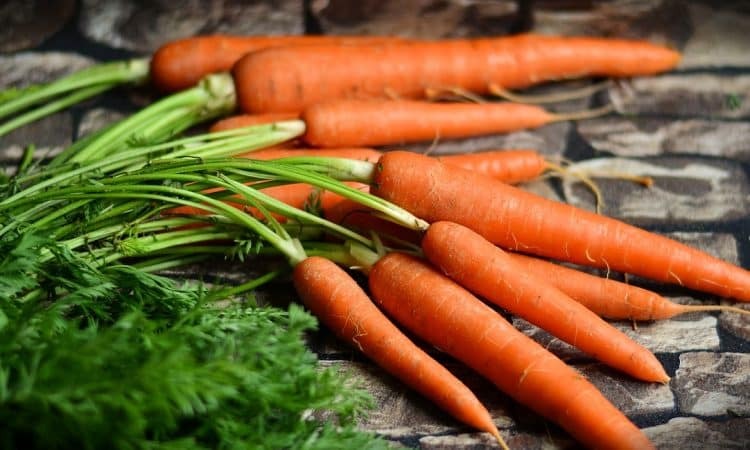 Store the carrots in a dry shed and inspect for rot and dispose of them before they infect the other carrots. Keep them in a cool place. This process is good until March.